The M – Museum Leuven and KU Leuven, in cooperation with the European Network for Visual Literacy (ENViL) and the International Society for Education through Art (InSEA), invite you to submit a proposal for 51st Annual Conference of the International Visual Literacy Association on 16 to 19 October 2019. The conference theme is ‘Navigating the visual. Crossing the boundaries of theories and practices.’ The conference will bring together different theoretical viewpoints and practices on visual literacy, joining scholars, students, and practitioners from all over the world in an interesting exchange of ideas. The conference is open to contributions on new theoretical insights, media, innovative practices and methodologies on assessment and evaluation. The conference takes place in M – Museum Leuven, where the basic curatorial principle is based on visual awareness. 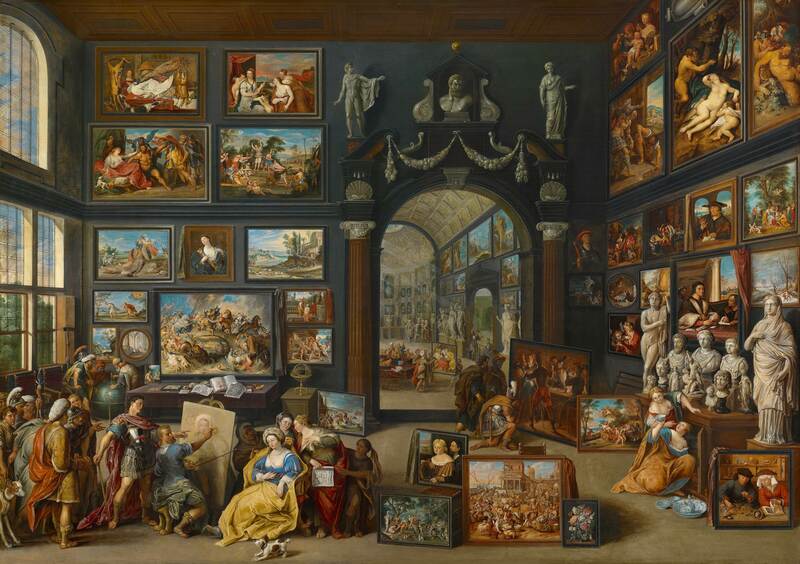 Peter Carpreau, Curator of Old Masters at M-Museum Leuven, will also address the topic of visual awareness in his lecture at CODART 22 in Berlin (2 to 4 June 2019). Below you can find a brief clarification of the conference themes and suggested fields of research and practice. The deadline for proposals is 30 April 2019. For more information consult the guidelines here. 1. THINKING THE VISUAL Thinking about the visual is as old as the practice of producing images. In different fields, scholars continue to think about theoretical models of the visual. During this session, we want to map theoretical approaches from different disciplines and stimulate interesting cross-pollination. We invite papers from disciplines such as education, sociology, philosophy, semiotics, hermeneutics, art history, data visualization, and media studies. 2. APPLYING THE VISUAL The visual invades the private life of people through old and new media on a daily basis. Understanding the mechanisms behind this is crucial. We invite contributions on visual strategies, techniques, and methodologies that are used in marketing, advertising, social media studies, and journalism. 3. MEASURING THE VISUAL The visual has a large impact on our thinking and behaviour. Several disciplines try to map this influence. We invite papers from the field of marketing analysis, visitor studies, big data analysis, and visual literacy. 4. LEARNING THE VISUAL To enhance visual literacy competencies and stimulate critical thinking, visual (learning) experiences are created in specific contexts, such as classrooms, museum galleries, libraries, and other public spaces. We invite papers from scholars and practitioners from the field of education, museum studies and cultural heritage institutions.